Nurses on picket lines said that pay and conditions have “gone downhill” and they would continue to strike until this situation was reversed. University Hospital Limerick was the most overcrowded hospital in the country with 59 patients waiting on trolleys. 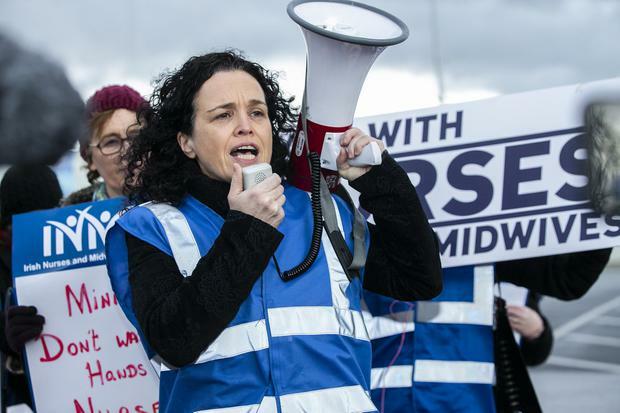 Erica Shanley, a nurse with 22 years’ experience, said “patient safety” was at “the heart” of why she and her colleagues had taken to the picket line. “We are striking to save our staffing levels. The staffing level on the wards is critical and at breaking point. Patient safety is at the heart of [our strike] what we are trying to do,” she said. “Obviously we want pay restoration,” she added. “We are all very highly qualified. I’ve a first class masters which isn’t recognised in our profession, yet other similar professions would be getting bursaries on a yearly basis for extra qualifications. Juliana Dowling (24), from Malahide, is a nurse in St James’s Hospital. She said that the hours and work they are expected to put in have reached breaking point. “In the intensity we work in I feel we deserve more,” she told the Irish Independent. “We can’t give the care that we want to give to our patients. It has got critical. The wards we work on are busy surgical wards and it’s not safe. Rachael Lawless (23), from Howth, is also a nurse in St James’s Hospital. She said that it was frustrating that so much was paid for the new Children’s Hospital, but there would be no one to staff it if conditions remained the same. Meanwhile, Taoiseach Leo Varadkar has told the Dáil there is no guarantee that granting nurses a pay rise will help address retention and recruitment issues in the health sector. He said the Government wants to resolve the dispute with nurses as INMO members engaged in a second day of strike action yesterday. He said offering a pay rise may not help retain nurses or attract young workers to the profession. 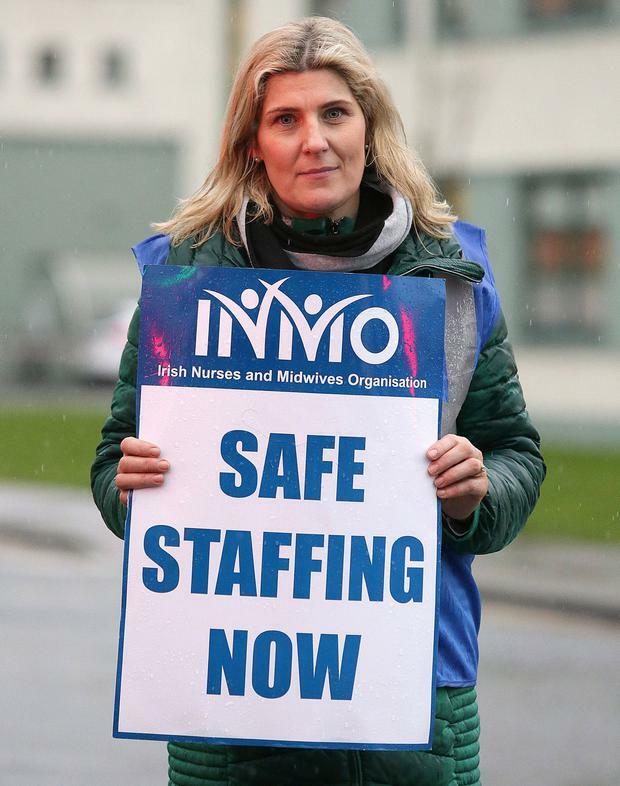 INMO general secretary Phil Ní Sheaghdha said a press release from Government yesterday saying it was willing to talk about working conditions and staffing was not going to bring them to the table.